Week 19 – Are you a good mother to yourself? This morning I’m heading out to visit my mom. My sisters and I are taking her to see the movie, Mother’s Day, with Jennifer Aniston and Julia Roberts, and I’m looking forward to laughing and having some fun. Since it’s Mother’s Day here in the states, I thought I’d remind you of what it means to be a mature and healthy mother to yourself. ~*~ You stop making excuses for doing what you want to do. You let your desire be enough. ~*~ You choose to disappoint someone else now and then instead of disappointing yourself. ~*~ You tell yourself, “I love you,” on a regular basis so you start to believe it deep in your bones. ~*~ You feed your hunger for aliveness. ~*~ You ask for what you want directly rather than beat around the bush. ~*~ You stop pretending everything’s okay when it’s not. You tell the truth. ~*~ You speak up when you have something to say. ~*~You no longer defend, debate, or over explain your decisions. You trust your choices and you let your inner guidance run the show. 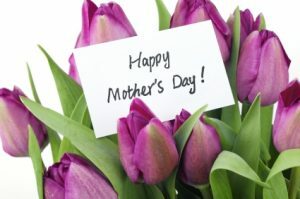 Today, as you honor the women in your life who have nurtured and cared for you, remember that being a good mother to yourself is important, too. Check out this trailer for a movie about mothers and daughters – this is the next one I want to see . You can watch it here.